Public concern has been raised over the serious pollution in the ocean near Sanya Bay, a coastline of 17.8km which is a great place for sightseeing and enjoying local leisure activities. 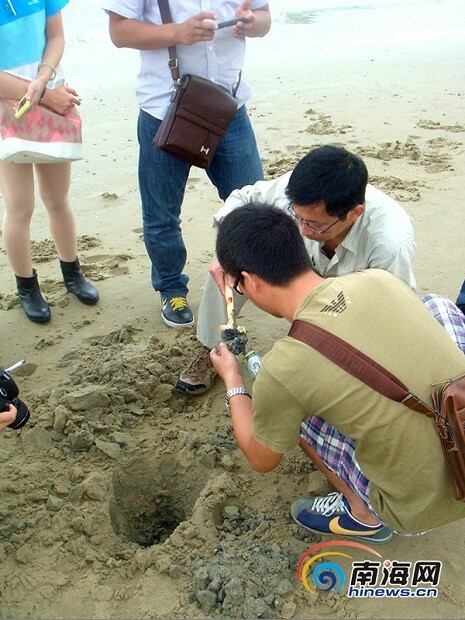 The volunteers of Blue Ribbon Society, a non-government organization for ocean conservation collect the polluted sand sample of Sanya Bay for testing. A recent report from the Blue Ribbon Society, a non-government organization promoting ocean conservation, found that the environmental situation in Sanya Bay is deteriorating as sewage from nearby hotels and residential buildings continues to flow into and mix with the blue sea water. The sand and sea water is dark black and often accompanied by a disgusting smell. Due to rapid economic development, Sanya Bay is densely populated with dozens of hotels, seafood restaurants and residential buildings. Every year, at least 10 million tons of sewage is discharged into the ocean from the pipes, which were initially used for collecting and discharging rainwater. 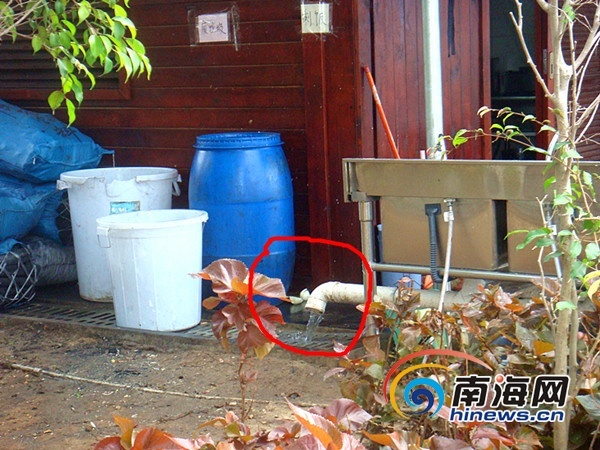 A nearby BBQ restaurant at Sanya Bay is found discharged sewage into the ocean from the pipes. “Sanya is famous for its blue sea water and clean air. If it loses these things, the city will lose its edge.” An expert suggested that a comprehensive project is urgently required to establish sewage management at the various polluted sections of the bay.